Chickpeas are an excellent source of vegan protein (12g per cup) & though it may seem like a strange combination, the apple & onion pair beautifully together. Opposites really do attract! Sriracha Hummus? Yes, please. The hemp seeds also contain fiber to aid in healthy digestion! Can you tell I’m on a Sriracha kick lately? In this bowl, the lightness of the tofu is balanced by the satisfying crunch of jicama & the smooth addition of hummus and avocado. Now you might be looking at these recipes thinking, “Hmm, but I don’t like onion,” or “Ooh, I think the sriracha tofu would pair well with the organic quinoa,” or “ But I’d rather have a different protein with these ingredients!” If that’s the case, go for it! Mix & Match! Subtract & add! Don’t let the limits of my imagination get in the way of your culinary masterpiece! 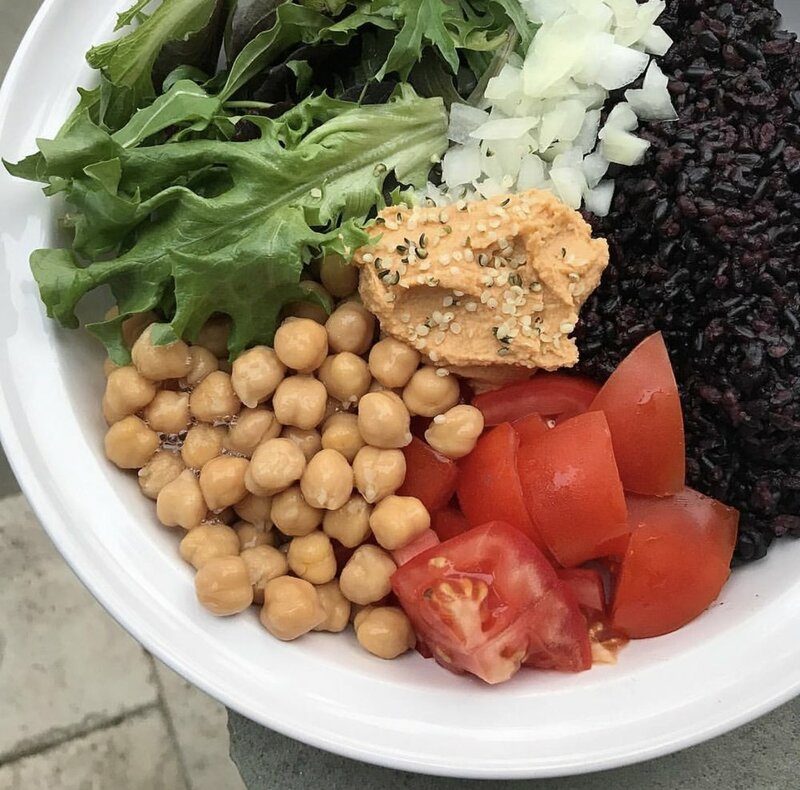 The beauty of the bowl format is that you just pick at least one protein, one grain & one vegetable, dump it all in a bowl & you’re good to go!